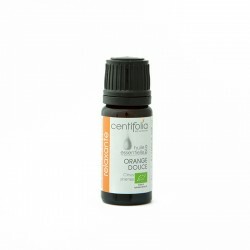 www.centifoliabio.fr is a Centifolia Bio Par Nature site. The company is a simplified joint-stock company with €50,000 in capital whose headquarters is located at Route de Saint Clémentin - 79250 Nueil les Aubiers, registered with the Niort Trade and Company Register under number 478 486 020 00033. President: Antoine Guilbaud. The www.centifoliabio.fr website is devoted to online sales of cosmetic, hygiene, and aromatherapy products and accessories. Essential oils are very powerful concentrations and can be dangerous if not used correctly. In addition, you should read the precautions for use available in the “Essential Oils: Precautions for Use” menu before using any essential oils. Make sure you follow these precautions. If you would like to give our products to others, you must include these precautions for use with each gift. Essential oils are not innocuous products and contain very high percentages of active substances. We do not encourage self-medication. When using essential oils therapeutically, we advise you to contact a doctor or pharmacist who has experience using aromatherapy. Information on our website comes from aromatherapy reference works. Provided for information only, it does not in any way constitute medical information. We cannot be held liable for any use you make of it. On its site, Centifolia sells cosmetic ingredients to individuals for making homemade cosmetics. Following hygiene and preparation rules outlined in the “Get Started Right” menu is crucial when creating cosmetics at home. Centifolia cannot be held responsible for problems with preparations that were created without following these common sense instructions. Centifolia reminds users that cosmetic sales are subject to strict regulations that the client must follow if they intend to sell or give away cosmetics they have created. Centifolia cannot be held liable when its products are used to create a cosmetic product that will be sold or given away. 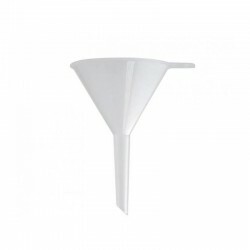 • “You”, the “customer” or “buyer”: anyone who orders products from the www.centifoliabio.fr site. 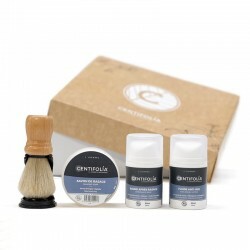 These General Sales Conditions govern all product sales between You and Us via the www.centifoliabio.fr website, and prevail, when appropriate, over any other contradictory version or document. • Purchases made on the www.centifoliabio.fr site have geographical limitations. Shipping is not available to the following countries: Taiwan, China, South Korea, Japan, Malaysia, Singapore, Thailand, Italy, Portugal and Finland. When a product is temporarily out of stock, Centifolia Bio Par Nature reserves an additional three weeks to process the order. In this case, the Customer will be informed by email or telephone of items that are no longer available. The Customer can cancel or exchange their order by contacting customer service and providing the order number, order date, and customer number. If the Customer does not respond within 8 days after they are contacted by Centifolia Bio Par Nature customer service, the order will be sent with the available items. The Customer will only be charged for these items. Centifolia Bio Par Nature reserves the right to modify prices at any time but products will be charged on the basis of prices in effect at the time order is made. They do not include shipping, handling, transportation, and delivery charges, which will be charged separately. Amounts including taxes for these charges will be provided to Customer at the time of order. If you order from anywhere outside continental France, you are the importer of the products. For all products shipped outside the European Union and French overseas departments, prices will automatically be calculated before taxes on the invoice. Customs duties, local taxes, import duties or state taxes may be required. These duties and sums will not be paid by Centifolia Bio Par Nature. They will be charged to you and are entirely your responsibility both in terms of declarations and payment to relevant authorities and organisations in your country. We suggest you contact your local authorities for more information. Unless otherwise indicated, order is shipped to the address indicated when you place your order. Shipping is not available to the following countries: Taiwan, Hong Kong/China, South Korea, Japan, Malaysia, Singapore, Thailand, Italy, Portugal and Finland. When a package is returned with NFTA notice, after receipt and acceptance of the package by our services, a credit note (order total, shipping fees deducted) will be granted within 48 hours after the package is received by Centifolia Bio Par Nature. The Customer can then resubmit their order. Without limiting the foregoing, electric or electronic products include a manufacturer’s guarantee. All products modified or repaired by the Customer or any other person not expressly authorised by the Seller, as well as all products that include a specific support and maintenance contract, are excluded from this guarantee. Any product returned under the above guarantee must have prior authorisation from Centifolia Bio Par Nature. To this end, the Customer will contact our after-sales department by email with their request. The defective product must be returned in its original packaging and include the product return number provided by the Seller. All fees and risks involved in the product return are the Customer’s responsibility. Shipping fees will be reimbursed based on a Colissimo with tracking (with appropriate justification) if the return occurs within the 6 months following the purchase. Beyond that, shipping fees will also be Customer’s responsibility. In application of the 06 January 1978 law 78-17, we remind you that identifying data requested from the Buyer are necessary to process your order, deliver products ordered, create invoices and in communication. The use of information transmitted through the Site was declared to CNIL. In accordance with national and European regulations in effect, the Buyer has the right to permanently access, modify, correct or oppose information about them. To do so, they simply need to make a request by mail and include their email, given name, first name, and address. Send the request to Centifolia Bio Par Nature - Route de Saint Clémentin - 79250 Nueil les Aubiers - France. This Site’s content belongs to Centifolia Bio Par Nature and its partners. It is protected by French and international laws related to intellectual property. Refurbishing Centifolia products for resale under a different brand is not authorised except with Centifolia’s written permission. Operations completed through the www.centifoliabio.fr website are subject to French law.